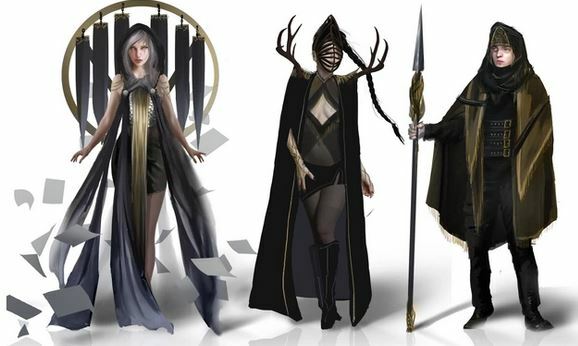 Recently I’ve had the chance to take a gander at Awaken, a new Tabletop RPG midway through its run on Kickstarter, and I have to say it’s caught my interest. 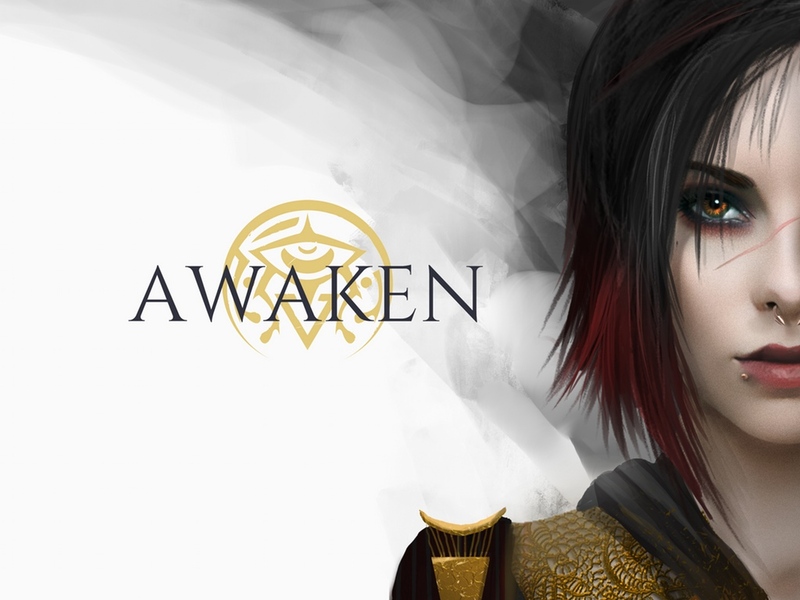 In this game the player characters “awaken” to a role as one of the Vasall, or in layman’s terms “superhumans”. The PCs, and the ancient evils they face, are all placed in a backdrop steeped with Slavic and Mediterranean folklore. Frankly the whole premise, mixed with a simplistic d6 system and a focus on shared storytelling, is new enough to me to really excite! I’d be lying if I didn’t admit that the artwork caught my eye before anything written about the project. The images invoke the grim landscape and themes of heroics against an encroaching darkness perfectly. From the towering colossi to the character portraits themselves a level of attention was paid that I can truly respect. It really makes one yearn for the print version of this project. 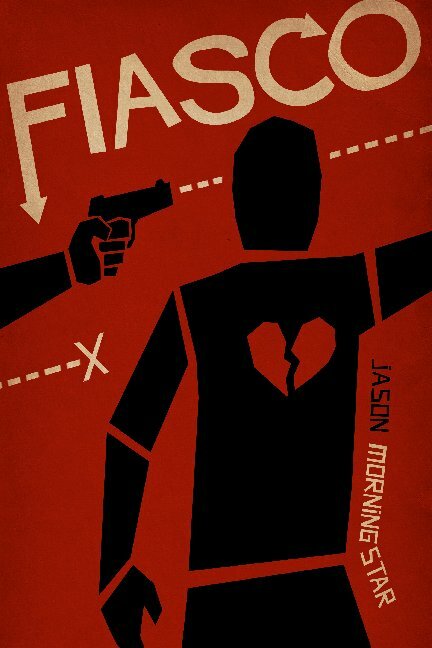 Looks like that backer level comes in at a somewhat pricey $45, but as mentioned… that artwork is awfully nice. The mechanics of the game appear to rely on a simplistic system of generating successes using a handful of six-sided die, with the successes coming from 5’s and 6’s rolled. Reading further I discovered that the GM is prompted to reward player creativity and role-playing with additional die, presumably to the GM’s discretion. Seeing this, it is apparent that this game finds itself solidly in a category of RPGs that focuses more on cooperative storytelling and creativity than getting bogged down by mechanics. They seem to be moving along at a solid clip so there’s a good chance to fund within the 20 days that remain. The fact that this game is being brought to us by such a new company, Games Collective, the level of polish on the system shows a lot of promise with the group. That they teamed with Studio 2 Publishing, Inc. only adds to my comfort that a funded game will be completed and shipped out in a reasonable amount of time. Give this Kickstarter a gander because it’s going to fund and if you want in on it it looks like you’ve got a great chance! The Games Collective: an RPG design team founded by Marko Matijević Sekul and Zoltan Lečei. Sadly, as you may have noticed, I was unable to attend the GM Summit so you didn’t get any of my right\wrong opinions on some of the questions. Well, I copied down the questions as I went along so I can answer them right here. Hopefully I can offer up some advice just as useful as my peers! What is my favorite system and why? Things began with this nice little warm up question, one I find very difficult to narrow down. Should I focus on pure nostalgia and go with Dungeons and Dragons? It has been the staple system in my core group and certainly the game I’ve played the most. However, I think if I really had to choose a system to dedicate the rest of my gaming on I’d go with Savage Worlds. I’ve spoken on it many time in this blog so if you’re a committed reader, you know I love it. It’s just the best little generic system money can buy, and it slips oh so perfectly into damn near any genre. What are some tips on handling feedback from your players? I think most of the group hit the nail on the head with this one by mentioning that if you are honestly looking for feedback you need to be ready to receive it. This doesn’t mean you need to sit there while someone lambastes your game but you should certainly take the time to consider if their critiques might actually hold some constructive value. In the past I’ve been very easy going with how I sought critiques and I get them but they are almost always positive in nature, I may need to be a bit more formal with my requests if I plan to get any true feedback. How do you set expectations for your games? I rarely run something that is limiting to my group. I choose a system and let them pick from all available options. The only time this will change is if whatever group I’m planning to run a game for collectively with me decide we want to run something very specific. For example I ran a one shot game where the players were all Bullywugs trying to protect their swamplands from humans. Obviously my players would need to know going in that they are restricted to that race. I can’t really point to a time where I sprung a long list of expectations on anyone. To me deciding the next game is highly collaborative. For a first time GM how much should be planned/not planned. Thoughts on houseruling? I am a terrible person to ask about planning anything. From day one my games have been highly improvisational, and I plan very little beyond a core concept of the first adventure. I will usually have an idea where that first game will go, and usually have a group of enemies set aside, but I am blessed with being very quick on my feet in game and few can even tell I’m flying completely off the cuff. True story, one night my entire set of notes for the upcoming adventure were the words “Giant Vultures seem cool”. This approach is not for everyone, and certainly not a beginner, unless you have a solid knowledge of the game world you are playing around in. I’m hardly perfect either last year I had the players fight against a werewolf as a random encounter in my Eberron Campaign only to recall midfight that the Church of the Silver Flame had long ago eradicated lycanthropes (and all other –thropes for that matter). Most of the time I do a pretty good job though! With this approach I usually take copious notes during my games and utilize the direction the players are driving the story to set up for the next adventure so I can avoid any plot holes by omitting some info (or an NPC’s name) the next time around. The best use for this method, if you’ve a solid grasp of it, is to use it during one offs. You don’t need to worry about plot holes there! As far as “houseruling” I would avoid actively houseruling prior to starting the game. Meaning during PC creation and the like. During the game though, don’t be afraid to break a minor rule here and there to do what makes sense to the group if you can’t immediately recall how to do something. Just make a note of the confusion and come back to it during a break or something. Lengthy rule searching can bog things down and your table might even adapt the new style of doing things after all. Improv Game, scenes from a hat. I wish I’d been on the panel for this question. As mentioned above I love improv, I have a lot of experience with the theatrical improv scene on up to the collegiate level and honestly RPGs are a way I specifically scratch the itch I have to act and play an improv game. I think the creation of a game using a “Scenes from a Hat” method could be fun but it would really depend on the system and if the players are also game. There are games that essentially do this anyway, Fiasco specifically comes to mind. You could easily draw a scene at random there and then the rest is practically random generation anyway. If you’re hell-bent on doing this with D&D recall that there are a lot of random generation tables in the DMG this time around. What keeps a game from falling apart? I’ve GM’d a lot, and I’d call myself a strong GM. This does not keep every game I run from falling apart though. Sometimes it just happens and you need to be prepared for it. It happened far less when I was a teenager and a college student naturally because a big part of the problem these days can simply be attributed to having to adult. You will never be able to fully stop this from happening and really you shouldn’t try. I feel people need to be honest with themselves whether they have time to game, and it is a commitment. If you feel shaky about the group just do short stories or one shots. Beyond the unavoidable pitfalls of life keeping the player’s interest in your game mostly boils down to player investment. If even on player isn’t invested they have the capability to bring exciting moments to a dead stop and even sour the rest of the players’ excitement levels for the game. The next question seems like a good place to expound on this! In a long Campaign how do you keep things fresh? So how do you keep things fresh, for everyone, all the time? Well… you likely won’t but you can sure as Hell try! I really attempt to work a player’s background into the game early on and make their character’s choices from that background and in game going forward matter. It usually does the trick for some of the more story loving types, and it’s why I usually suggest at least a bit of a background (and love seeing the 3 pager backgrounds!). There are players who are just there for the boardgame aspect of the game though and it is important to shake things up mechanically from time to time. If you run the same combat over and over (doesn’t matter if it’s against different monsters) you won’t grab these folks’ attention. Mix it up, be sure to have a fight that really showcases a certain PC’s style sometimes. You’ll catch their eye! How do you deal with being thrown for a loop by the players? I think you can likely surmise my method for this. It’s hard to be thrown for a loop when you go into a game expecting the players to do a lot of driving the story for you. I run into the opposite issue sometimes with newer groups that expect me to drive things exclusively so that’s something I personally need to be aware of. 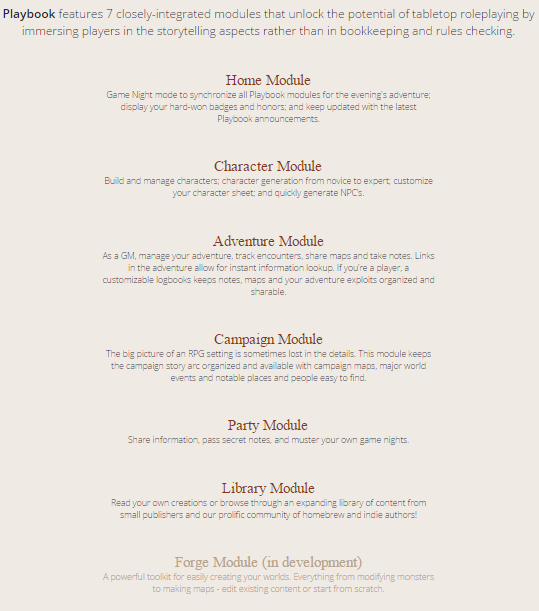 Where do you start writing a campaign? So my style doesn’t allow for pages upon pages of prepped material going into a campaign but I have gone into a new game with a minimalistic view of the story I’d like to tell. I might conceive of a big bad for example that I want to be the final showdown and then let the game organically include them. I sometimes make a bit of a plot point graph where I want certain events to occur and, as stated above, let the game pull me to them (or sometimes change them completely). I just don’t spend a lot of time on prep unless it’s an encounter, a trap, a skill challenge I want to add in, or maybe even an NPC. Even then I sometimes don’t know when those items will show up until it just feels right. What’s one extra piece of advice for new GMs? Take notes during the game, especially when something appears out of nowhere. Some players are really interested in continuity so if you called a last second crafted innkeeper Mac last session and described how he spit polished a glass with only 9 fingers gripping the rag you don’t want to accidently forget these facts. Some will certainly call you on it. Most of all, have fun with it and be ready to be a bit self-deprecating. When I admitted my error with the werewolf my players started calling my campaign setting “SmEberron” (Smith’s Eberron) claiming, in a tongue and cheek manner, that I wildly detract from the setting all the time. I got a good laugh out of it as well. 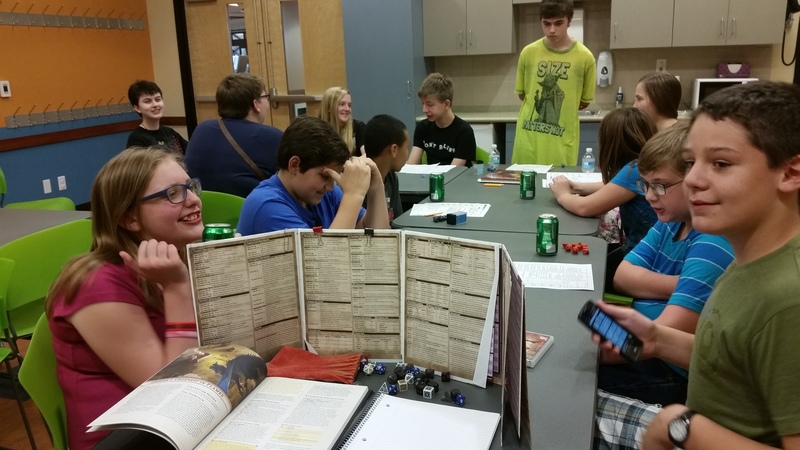 Essentially Tabletop RPG’s are ultimately games. They can be very personal games and hold some powerful sway in our lives if you’re one of the die-hard fans, but if at any point you aren’t enjoying yourself, the majority of the time, take a step back and analyze why that might be. Things should be fun. As the flagship folks of The RPG Academy Network say “If you’re having fun, you’re doing it right”. You know what, I say one more thing. Bring folks into the fold, be open to new players. The impetus to grow our gaming community lies with us for the most part. So if you’ve a gift for sharing this awesome hobby of ours, do so please! I can honestly say it has been a very rewarding experience for me! Take care folks, have a blast, and feel free to hit me up with any other questions you may have! Hope to see some of you at AcadeCon!!! A new app is in town from some old friends of ours. Trapdoor Technologies now brings you Playbook, a fee app available on iOS systems. Playbook represents a platform for Tabletop Gamers to generate characters, purchase adventures, and eventually forge their own worlds all within their linked iOS devices. 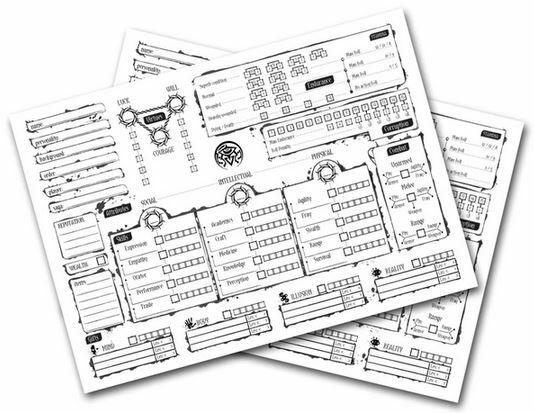 In its current iteration we see a fully developed character generator and burgeoning bookshelf of, for purchase, adventures compatible with the system. 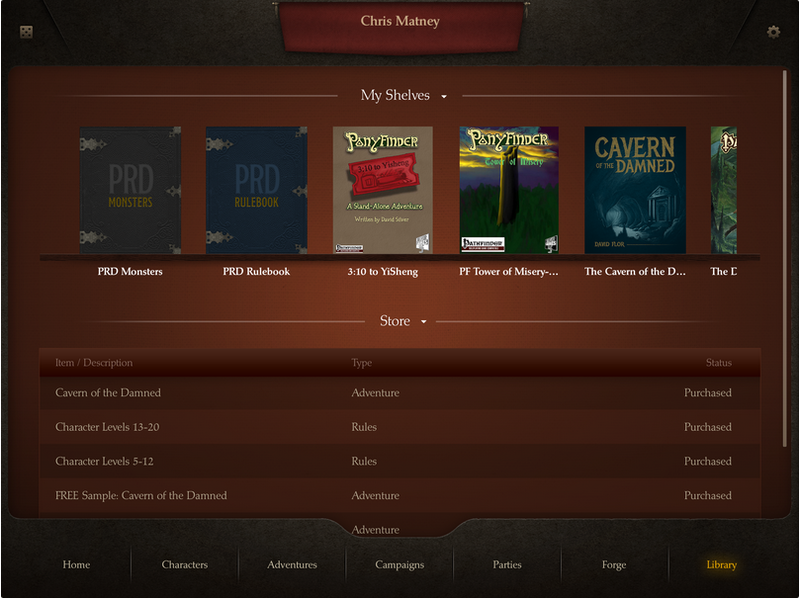 Though still in Beta this is a free app that has some incredible potential for any Tabletop player utilizing the free rules from the Pathfinder Reference Document. As mentioned above, Playbook comes to us from Trapdoor Technologies. The name may sound familiar, certainly so if you were ever excited for the Dungeonscape App that was being developed for D&D 5e. Trapdoor Technologies was the company behind what seemed to finally be a step in the right direction for Wizards of the Coast in the technological field. We were going to get an app that would finally garner us access to the books we buy in pdf form and it was being handled by a team of dedicated folks who loved gaming and had a knack for community involvement. Wizards botched things by dropping the project with no real reason stated. This blogger knows that it likely harkened back to their distaste for any kind of official pdf being out there and probably had a lot to do with how open Trapdoor Technologies was (is). This isn’t a bash on WotC article though, when it comes to their staying current in the technology realm that is way too easy a target. I’m here to talk about why you should check the app out. 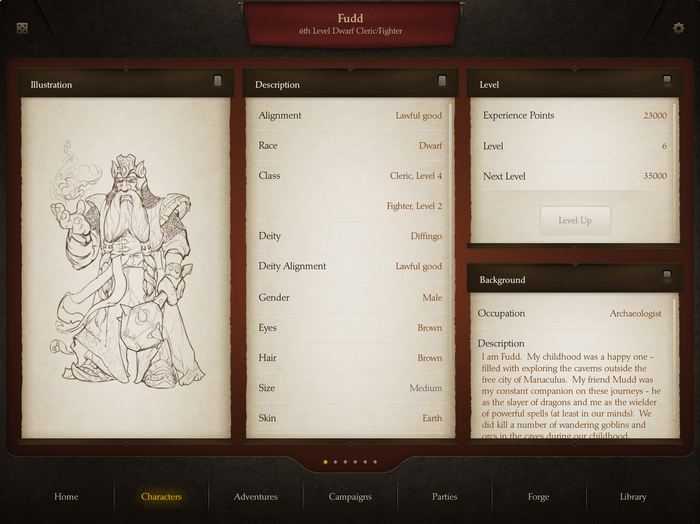 First of all, it’s a free character generator for games like Pathfinder and other OGL games. It’s smooth, and produces great content. 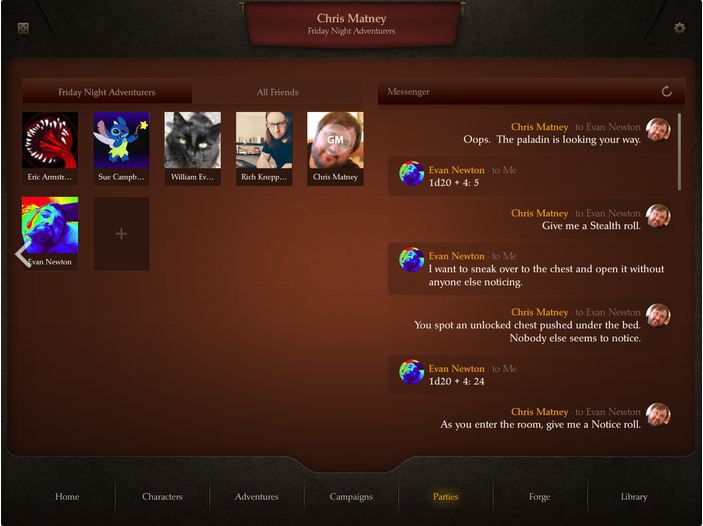 If you and your friends all have the app you can create characters and the GM can run the game through their own iPad. Your GM may even use an adventure or two that you can purchase from the app, currently the only thing that associates cost so far as I have seen. One of the more endearing aspects of the Trapdoor Technologies team has always been it’s “Open Door Policy” when it comes to fostering community relationships withing our hobby. 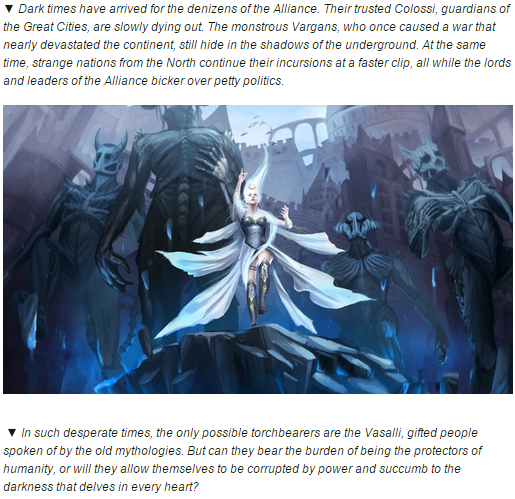 I see this playing a huge role in the fact that they have already worked with community members to create adventures based on the Pathfinder Ruleset that are currently for purchase in the store associated with the product. It appears that content creators can craft a solid adventure and then sell it through the app for others to play. To me this is an exciting prospect, I may even try to write something myself. Currently you have to approach them about it but there may come a time where this is a bit more automated. I also want to mention that they have also forged a partnership with Ed Greenwood to support the rule-set for his upcoming Roleplaying game Hellmaw! The app is currently in beta, but it works great for what it does now. If I’m to complain about anything it’s how difficult it can be to find in the Apple Store, hopefully as popularity grows that changes. 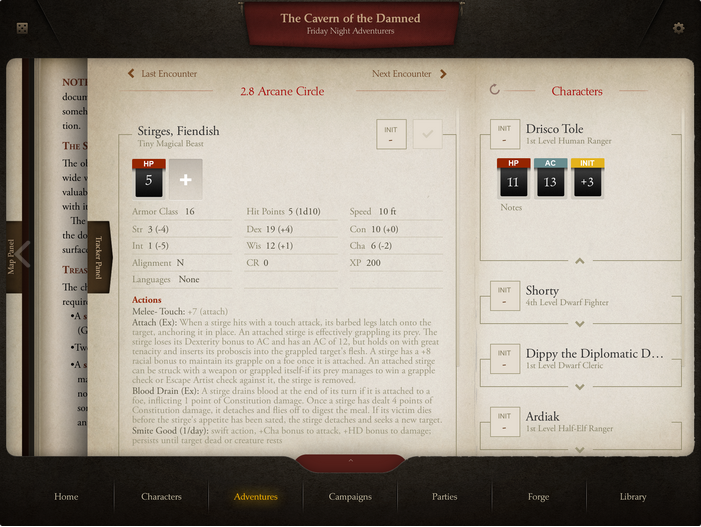 In the future you will see additional content like the oft mentioned Forge where you will use the interface to create your own adventures, linking within your docs to maps, NPCs, enemies, tables, etc. I have also heard of work being done to bring the app to Android and even web based operating systems, which greatly interests me. After borrowing an iPad for a span of time I can safely say they’ve interested me and I can’t wait to see where it develops. Growth with this product has some incredible potential. P.S. If you wish to approach the Playbook staff regarding publishing one of your adventures (or for really anything else) a good place to start would be their Twitter handle: @__Playbook__ Careful, that handle contains two underscores before and two after the name Playbook. Many GMs will find themselves either wanting to at least write an adventure once, or maybe you have been coming up with your own material all along. Now for the first time, you’re starting to find it more difficult to come up with new ideas for games. I won’t be giving you the ideas, more along the lines of trying to teach you to how to develop a process to generate ideas. Start with a word. I tend to look for words that sound exotic to me. Google the word, and go to last page of the search results. Start scanning the links, occasionally you’ll run across a link to a story or article that will spark an idea if you’re open to it. Try translating the word into a different language. I’ve found the names for magic items by doing that. Maybe you picked an object. Try thinking of putting that object to use for a purpose totally different from its normal use. Imagine the object in someplace you don’t have ready access to, now think of how you would get it. Follow the line of thinking all the way to the logical end. Now break down each of the steps along that line. You might be able to get a few adventure seeds from the breakdown of events. I can’t stress this next thing enough. READ, read everything that interests you, and some things that don’t. The more information you take in, the more your brain has to work with. Going along with reading is writing. Write down everything. Every fragment of an idea, every scrap of paper you save for later is an idea waiting for the right place to come along. This may sound a bit farfetched, however you will begin to create a reservoir of small ideas that you can eventually tie together into a coherent whole. When I was younger, I used to watch foreign language movies muted, and make up my own dialog. Now this usually doesn’t generate ideas by itself, but sometimes you’ll be able to discern a plot or plot device you can use. And you get to have a bit of a laugh in the process. This leads me to let you know that plagiarism in pursuit of a game plot is ok. It’s a time honored technique among GMs to steal ideas. We’ve all done it. As long as you don’t try and get money from a stolen idea, who cares? Here’s one I use a lot. Watch a movie. Now, as you watch there will be points in the movie where you think to yourself “I wouldn’t do that, I’d do ________.” Now sit back and think what would happen in the movie if what you would do actually happened. You’re bound to come across a few ideas you can use. Biggest thing of all: Imagination is a muscle. If you don’t exercise it once in a while, it atrophies. Let your mind wander once in a while. It’s almost like meditation. Most of us don’t have time to just sit and brainstorm. But there are plenty of opportunities to think. While you’re driving, during a bus ride, when you’re getting a haircut. It doesn’t matter what game you think of, always think Game.